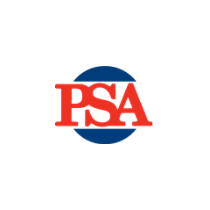 Your security and safety are our number-one priority at PSA Products. Our new line of surveillance equipment from HiLook provides high-performance products at an affordable price. 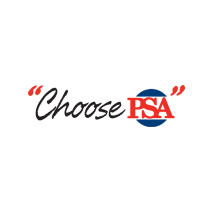 This innovative brand of security cameras and video recorders is backed by the world’s leading manufacturer of closed-circuit television products, Hikvision. These entry-level security systems are reliable and easy to use, making them the perfect choice for homeowners and small businesses. HiLook offers both IP and analog systems which can be customized for a wide range of indoor and outdoor uses. The IP (or Internet Protocol) system uses digital equipment that sends and receives data over your network using an H.265+ codec. This codec compresses data for lightning fast transmission speeds. The data compression also saves bandwidth and gives you more room to record. An IP system makes your setup flexible and scalable. Because each one of the cameras doesn’t need to be connected directly to the video recorder, you have some flexibility in placing them where you need them most. In addition, the number of cameras is not limited by the number of ports in your video recorder so you can use more cameras to cover more areas. The IP cameras are powered via PoE (Power over Ethernet). With the electrical current being carried by the data cables, you aren’t limited by the need to place the cameras near outlets. This, along with the networking protocol, can mean significant savings in installation costs. The cameras in HiLook systems come in 2MP and 4MP options. In general, if you are simply monitoring an area for activity, a lower megapixel (MP) camera should be sufficient. However, if you want superior facial recognition covering a larger area, a higher megapixel camera would be better for that purpose. HiLook’s IP cameras are available as bullet, dome, and turret models with fixed lenses and motorized vari-focal lenses. Each model has infrared (IR), 3D digital noise reduction (DNR), and wide dynamic range (WDR) capabilities for clear images in different lighting conditions. For special applications, Pan Tilt Zoom or Panoramic cameras are available in the IP range. HiLook also offers an analog solution for home and office use. Analog systems offer great surveillance at a lower price point. 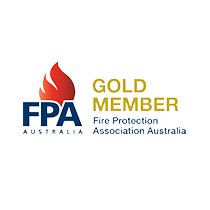 They are often easier to install and simple to setup, saving you time and money. Another advantage to the HiLook analog system is the ability to use many different types of cameras with digital video recorders. HiLook’s 4-, 8-, and 16-channel hybrid DVRs are compatible with HD TVI, Analog, AHD, CVI and IP cameras. 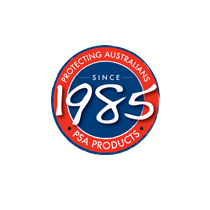 At PSA Products, we understand that our customers have a range of surveillance needs. Our product specialists can help you choose the best security system for your situation. Whether you choose a low-cost analog system or advanced IP solution, our line of HiLook products will keep your home or business safe and secure.